In the passing of Brother Kurfees, the church at Haldeman Avenue, Louisville, Ky., has lost an able preacher of the gospel; the cause of Christianity, one of its most able defenders; and the brotherhood at large, a beloved brother in Christ. It seems that the old brethren are passing away rapidly. Brother Kurfees had "fought the good fight, finished the course, and kept the faith;" hence there was awaiting him "the crown of righteousness, which the Lord, the righteous Judge," had reserved for him. 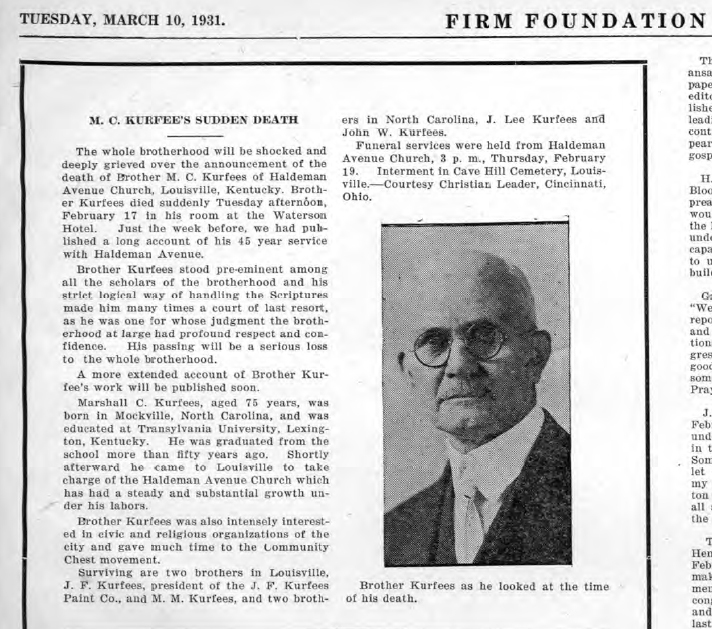 Marshall Clement Kurfees was born on January 31, 1856, near Mocksville, N. C. He was reared on the farm and trained in all of the difficult tasks incident to farm work. His people were members of the Methodist Church and gave him such training as was common at that time in that section of the State. Young Kurfees, when but a lad of thirteen summers, became anxious to be a Christian. He knew nothing of the Bible, and no one suggested to him that he study the Bible. He sought religion after the fashion of that day. He went to the "mourners' bench" with all the earnestness of his soul and tried with all the strength of his might to " get religion." He wept bitterly and prayed fervently over his condition, but he found no satisfaction. Again he tried to "get religion" in 1871, when he was fifteen years of age, and again he tried with all the earnestness of his soul to "feel a change," but no change came. Finally he resolved to join the Methodist Church and live the best he could. A few weeks after he had joined the Methodist Church he heard the gospel preached by a pioneer preacher, G. W. Neely. This was the first man he ever heard preach who used the Bible in teaching the people what God would have them do to be saved. This impressed young Kurfees very much, and he decided that he would read the Bible. He began earnestly reading the New Testament, and continued his reading until he had read it through. The next preacher of the gospel that he heard was the lamented W. L. Butler. He was greatly impressed with the clearness of the plan of salvation as presented by Brother Butler, and on July 24, 1872, he was baptized by Brother Butler into Christ Jesus. Since he had become old enough to give any attention to religion, he had desired to be a preacher; so, on the day that he was baptized, he resolved to preach the gospel. His desire to preach grew until it became a determination. Brother Kurfees had small advantages for an education in that section of the State. He knew that he should have a better education if he should preach the gospel; so he determined to prepare himself better for the great work of proclaiming the gospel. He was too poor to attend college, but he studied at home and took advantage of the opportunities afforded him in the schools near him. He knew that his father was unable to send him to school. Two years after he had become a Christian his father left the Methodist Church, as did his mother. His father and mother were anxious for him to go to college, but were not able financially to send him. His father made him the proposition to release him from home duties and obligations and let him go and make his own way through college. Brother Kurfees at that time was happy, because he knew that the determination which he had would enable him to get the necessary education. It was his desire to attend Bethany College in West Virginia, but through the influence of W. L. Butler he went to Lexington, Ky., to the Kentucky State College, now Transylvania College and the College of the Bible. He did not have the money for transportation, but traveled on foot much of the distance from his home to Lexington. He entered the college in September, 1874. He was graduated in 1881 with the first honors of his class. He worked his way through college. This took him longer than had he had the money to pay his expenses. The year after he entered college he began preaching. The same year he began to teach in the public schools in Kentucky. He would teach part of the time and preach and then go to college. He was a successful preacher from the beginning. He was a diligent student and mastered whatever subject or course he undertook. He was never satisfied to leave a subject until he had all the information concerning it that it was possible for him to obtain. He not only trained himself in thoroughness, but also in accuracy in stating facts and correctness in expressing himself. He had a logical turn of mind and thought systematically and logically. His sermons were models in diction, logic, and Scripture. He did much evangelistic work in Kentucky, Illinois, and North Carolina. He established many churches and baptized hundreds of people while doing general evangelistic work. He preached much in those days in destitute fields and met all kinds of opposition. He was brought into discussions and held debates with preachers of the different denominations in those States. He held debates with Quakers, Lutherans, Mormons, Episcopalians, Methodists, and Baptists. In all of these discussions he maintained his high standard of Christian deportment. Brother Kurfees was a ready writer and wielded a trenchant pen in written discussions. For many years he was a contributor to the Gospel Advocate, and finally became one of the editors of the Advocate in 1908 and continued until 1924-sixteen years. During this time he covered a wide range of subjects and taught with clearness and force the Bible on all subjects which he handled. 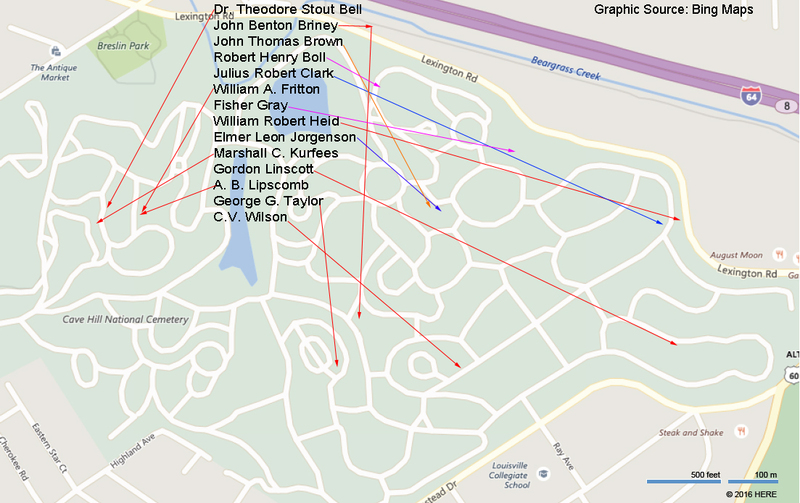 In addition to his editorial work, he wrote many pamphlets and a few books. 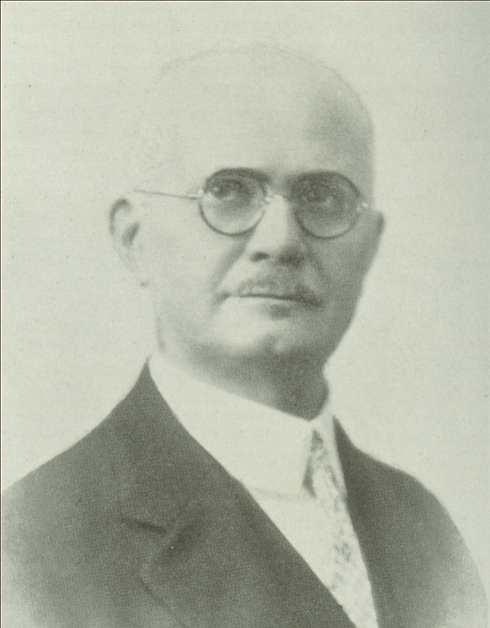 He compiled "Questions Answered by Lipscomb and Sewell," which was published in 1921. This imposed upon him a great task in reading the writings of these brethren for more than forty years. He was the author of "Instrumental Music in the Worship," which was published in 1911. This book was a scholarly discussion of the use of the Greek verb "psallo." In this book he examined the use of this Greek verb philologically and historically. The advocates of the use of instrumental music in worship had made the claim that `'psallo" in the New Testament authorized the use of the instrument in worship. Brother Kurfees in a very logical way refuted all of the arguments that had been made in favor of the use of the instrument in worship, and also showed that the New Testament use of "psallo" did not authorize the use of instrumental music in worship. He made the very potent argument that if the use of mechanical instruments is included in the New Testament use of "psallo," then no one could do what the Holy Spirit commands by using "psallo," except by using mechanical instruments of music in Christian worship. The advocates of the use of instrumental music have never answered this argument, and, indeed, cannot answer it. Brother Kurfees used this argument with such terrific force that it has caused all of the scholars who favor the use of the instrument in worship to abandon the arguments formerly made on the New Testament use of "psallo." Brother Kurfees did a great piece of work when he wrote this book. 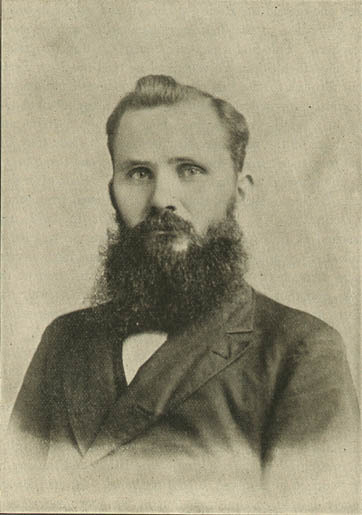 Brother Kurfees began preaching for the Campbell Street church of Christ in Louisville, Ky., February 3, 1886. He continued with this church until the end of his earthly life, February 17, 1931. The brethren and sisters and friends of Haldeman Avenue Church, which was the successor to the old Campbell Street Church, came together to pay their respect and honor to Brother Kurfees for his long and faithful service with the church. He had been with the church there a little more than forty-five years, nearly one-half of a century. No man living had been with a church of Christ so long as that. His long work with this church bears sufficient evidence of the talent and Christian service of Brother Kurfees. He labored with a large and intelligent membership, and his more than forty-five years' labors with the church showed the esteem which the church had for him. No man of small caliber or meager literary attainment and scant knowledge of the Bible could remain with a church so long. No man whose life was not in harmony with the spirit and teachings of our Lord would have been kept so long at one place. Brother Kurfees was a cultured, refined, Christian gentleman. He had high regard for honor and would not stoop to anything low or mean. He was a type of Christian manhood that adorns the doctrine of our Lord. His good wife preceded him fifteen years. Brother Kurfees left no children. He will be missed, but we rejoice in the victory which he has won. 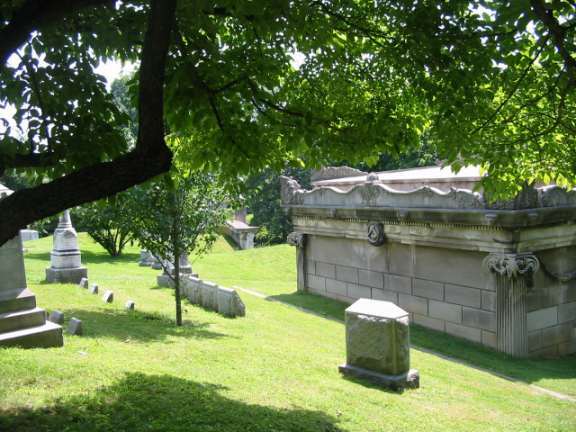 Marshall Clement Kurfees is buried in the Cave Hill Cemetery in Louisville, Kentucky. 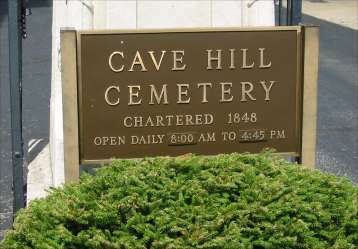 The cemetery is located at 791 Baxter Ave. (Hwy. 31). From I-64 take Exit 8 and turn left (west) go to next traffic light (should be Hwy ALT-60) Should see the cemetery on the right. However you will need to enter the cemetery from the Hwy. 31-E (Baxter Ave.) entrance. Do this by staying on ALT-60 until you turn right on Hwy. 31-E (Baxter Ave.) (North) then entrance should be up on right. When you enter the cemetery you will take the first left. Section "B" should be on your left and section "E" should be on your right. Follow road around to the first intersection and turn left. Now "B" should be on your left and "C" should be on your right. Go to the next road and turn right. "C" should be on your right and "D" should be on your left. 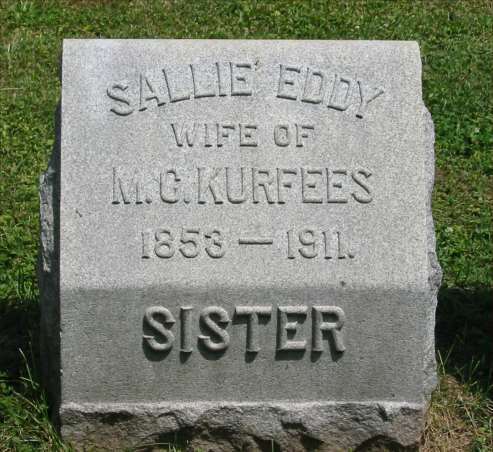 Stop the car and begin looking for the Kurfees grave. M.C. Kurfee is buried in Section D, # 30 For more info, click on Cave Hill website below.